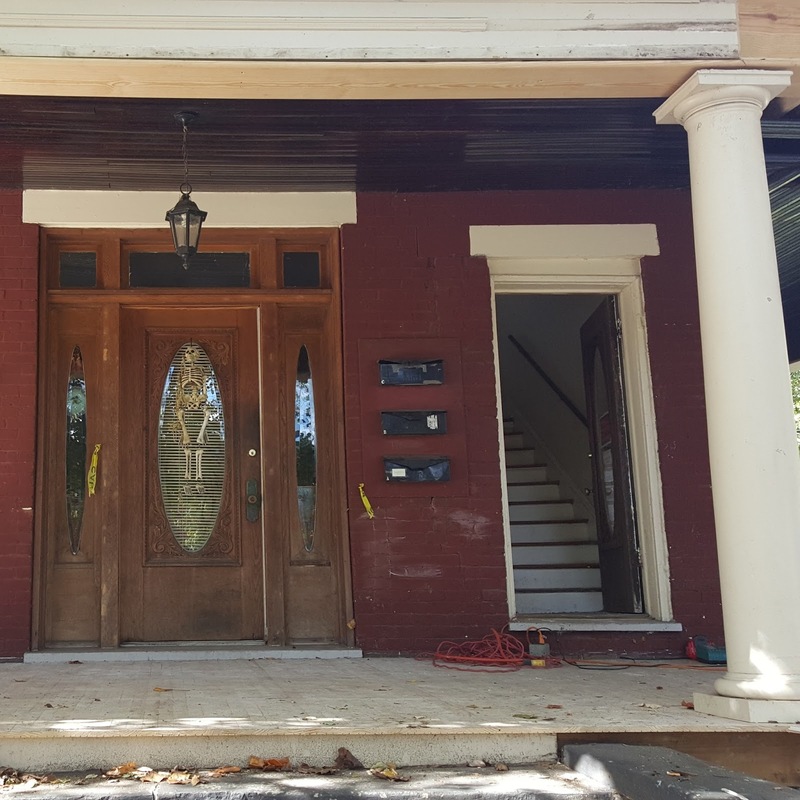 Renovating a Victorian home in Roanoke, Virginia. My Victorian house was once a duplex. The funky front door leads to the second floor apartment. The porch and roof were condemned. The potential was the lure. I saw what was once a beautiful grand manor. The pillars are lounging in the yard. The house looks crooked. 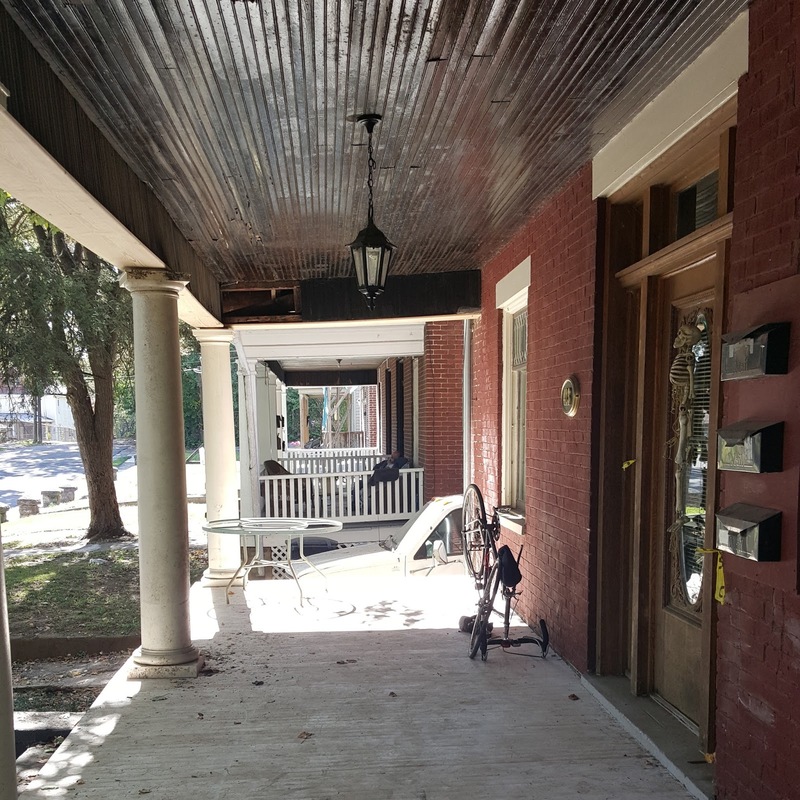 I moved here from Laguna Beach, CA to restore a Victorian home.